The ONLY ATS designed to improve the process of hiring people. We understand that recruiting is a linear business process defined by a series of YES and NO decisions and from day one our system is configured to drive these critical decisions. With our Applicant Tracking Solution, you will not spend weeks customizing the recruiting process! 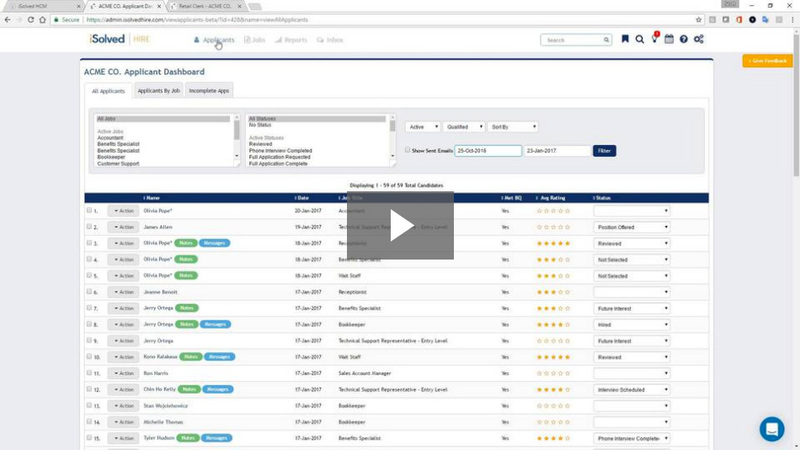 When you choose our Applicant Tracking solution, you’ve selected the most modern, fully-featured applicant tracking software available. It is completely web based and built on an open technology platform that’s hosted securely in the cloud (SAS 70), and coupled with award winning, best in class interface. Get up and running with your ATS in no time. And stay that way. Call (866) 992-5205, or use our online contact form below, for an Applicant Tracking Software Demo. Get ready to make your work life better!